All guest rooms feature the same amenities as follows: Keurig coffeemakers, complimentary Wifi, HD TV with HBO & STARZ channels, iron and board, two waffle weave robes, private balcony or patio, hair dryer, safe and mini-bar stocked with local, organic and gourmet items. 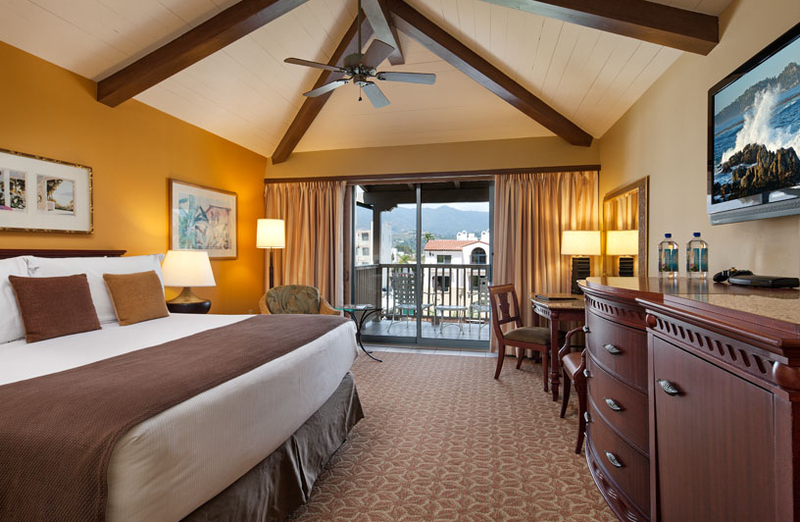 Guest rooms are furnished with either one king size bed or two queen size beds and range from 425 – 500 square feet. These rooms are located in the South or West Wings of the hotel and are on the second or third floor. These rooms are located on the first floor in the South or West Wings of the hotel. These rooms are located in the South or West Wings of the hotel on the second or third floors. These rooms are located in the South or West Wings on the first, second and third floors. These rooms are located in the North Wing on the second and third floors. *Please note that photographs are a representation of our rooms. They are not guaranteed to be identically equipped or furnished as shown.